My Lange family continues with it's newest member being the new black faced lange 1 moonphase. 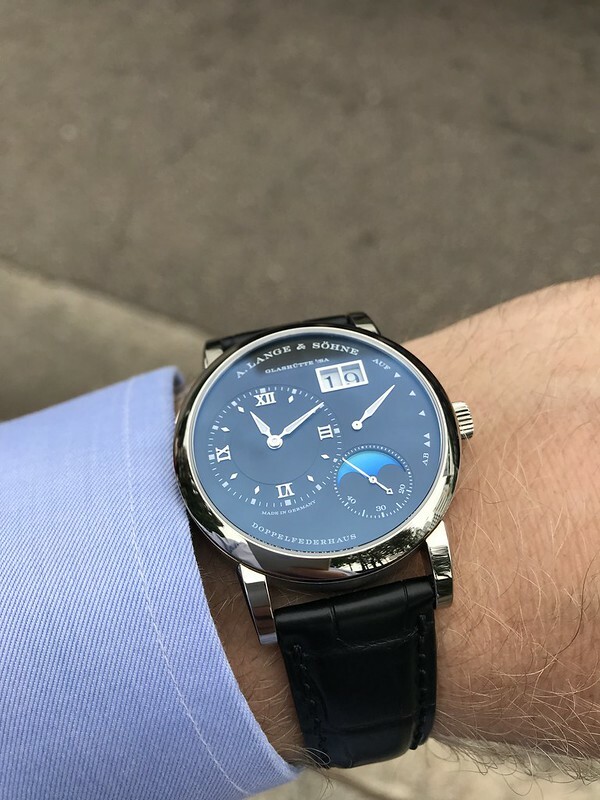 I always wanted a standard lange 1 stealth but never made the purchase. When I saw the pictures of the new moonphase, I loved the blue of that 24hr disk so I thought of getting a platinum moonphase but when I saw the black faced (wg), it was live at first sight. I am not usually a fan of black dials but this one just is spot on right! I am glad to say this is my newest addition and my first lange 1. See for yourself, that blue disk is just amazing. I have no idea how to post pictures so I'll give it a go. Next Topic: What's on to finish off the weekend?